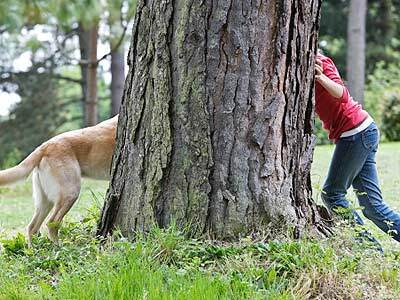 Why are dogs funny when they try to play hide-and-seek? Probably because they know hiding is their goal, but usually, they are not skilled in their attempts to find the right place to remain undetected. But, just to emphasize, some of them are not always so bad players. Some dogs have a good imagination how doing this right. Some dogs are stuck in the space, together with their young owners. Their wish to be loyal to people sometimes direct them to the place that's not exactly the best solution to win in this game. 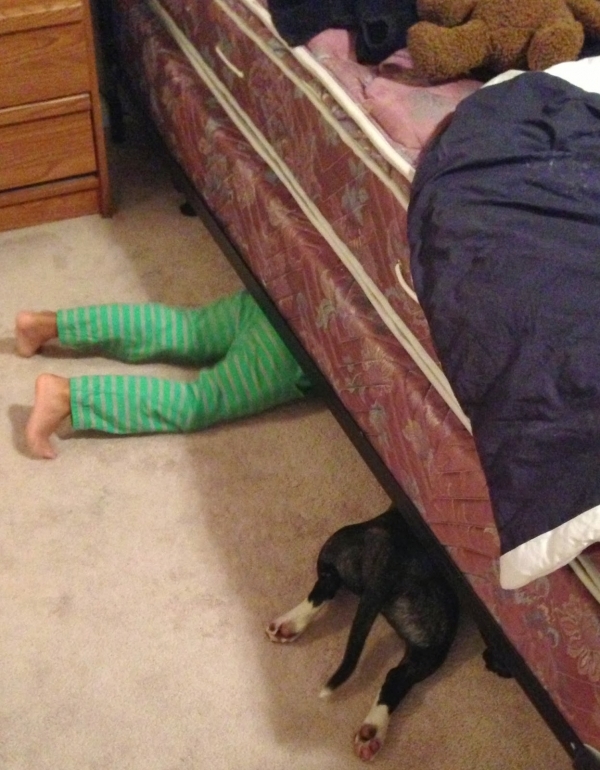 Hiding under the bed with legs sticking out is certainly not a good solution, but is a very common option. Our cute pets also enjoy running around the trees and hiding in circles. It is so nice to see them believing that this rush will make them invisible. The magic circle is obviously not something that makes sense for dogs in a way like makes for humans. 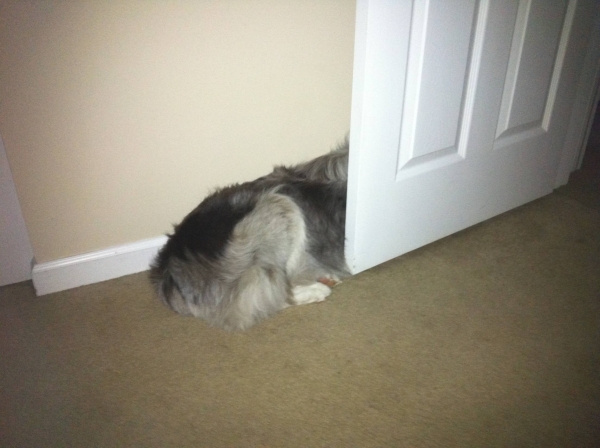 The corners of our rooms, with the help of open doors, look attractive to some dogs. In these moments they remind like small children that are unaware that parents will find them at the end. 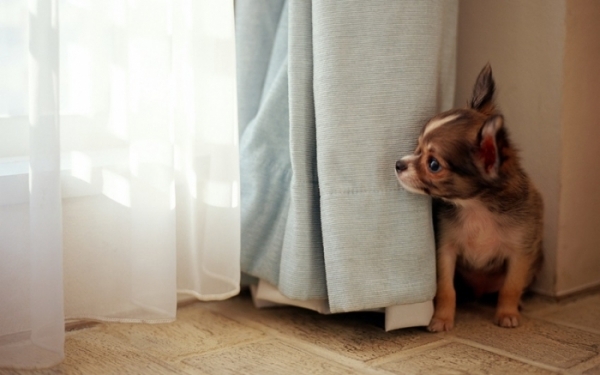 Some dogs will find their perfect spot between the wall and heavy curtains. You have to admit, and this is not a bad idea. However, they should think about how to fit between as hiding with a half of body out is so absurd. 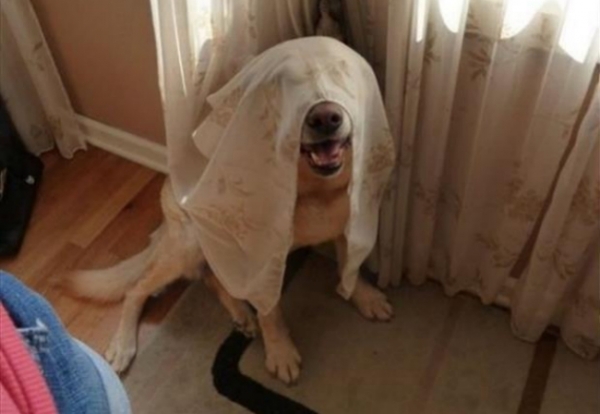 “Ok, now I have this curtain on my face, and I suppose you cannot see me?” This dog hopes he will stay here forever out of your view. If you think he is cute, just don’t pay attention and try to pass by without showing you can see him around.